The Insulated Magic Motion Flip-It Sippers are brightly collared and have fun holographic prints that really move when you tilt the cup. They feature a unique two-in-one cup design that not only keeps liquid fresh and cool, but also helps protect furniture from a sweating cup. 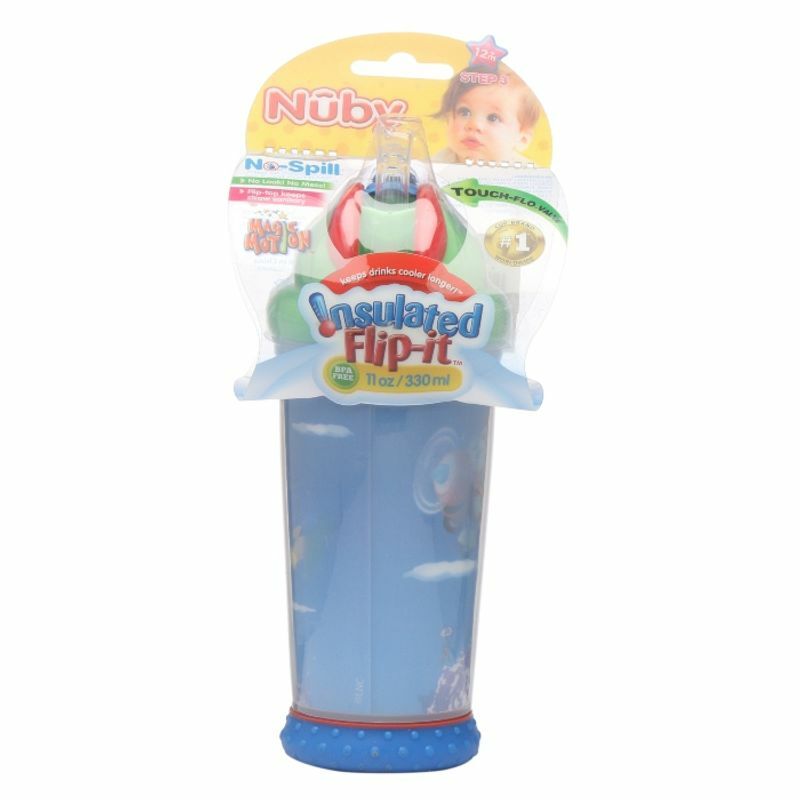 This cup features a Soft Sipper spout which is gentle to child's tender gums and emerging teeth. 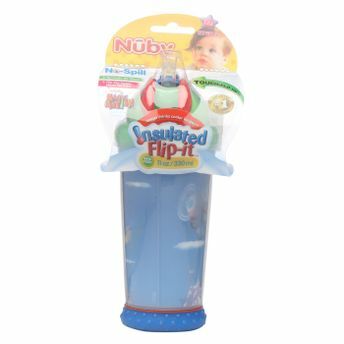 The Soft Sipper spout is covered by an easy-to-use flip top cap that keeps sipper sanitary and clean. When your child is ready to use the cup, the top cap simply flip back and rests in the lid of the cup. The Insulated No-Spill Soft Sipper features a dual-flow valve system engineered to help protect against spills or leaks. Liquids pass through spout only when your child sips. You control the flow by reversing the valve making it perfect for a variety of liquids, ranging in consistency from fruit juices to milk and water. Look for extra replacement valves, sold separately.